Rate your current level of satisfaction in a variety of areas of your life. Set some courageous goals in those same areas, and rediscover the joy of old school arts and crafts, as you cut, paste, and curate a collection of words and images. 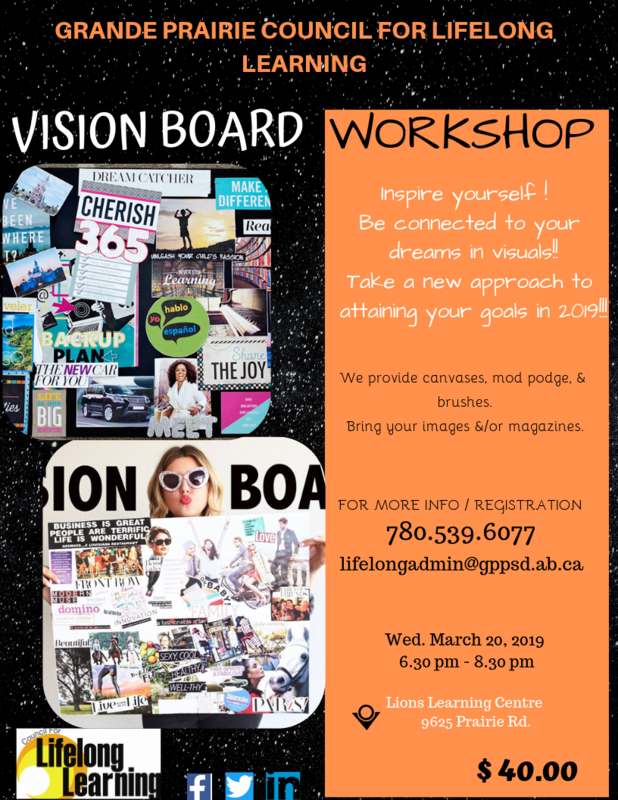 You’ll take home your own unique vision board that will serve as a daily reminder to focus your time and energy on the things that really matter to you. Be connected to your dreams in visuals!! Take a new approach to attaining your goals in 2019 and beyond!! !